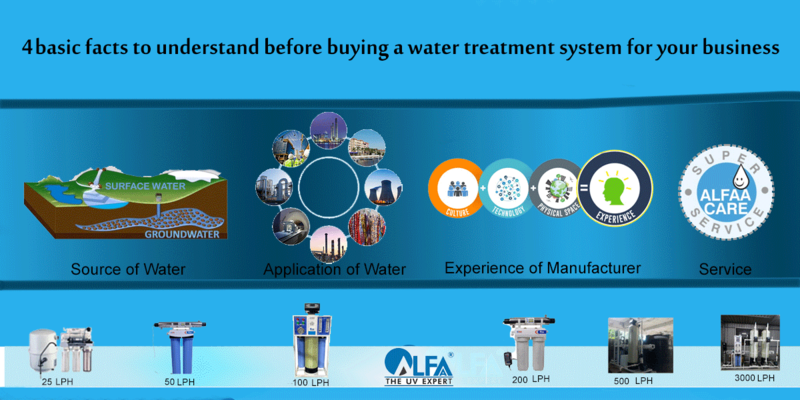 There are many water treatment solutions available. It can prove to be beneficial for you to conduct a thorough research before choosing any one. One option available is an Ultraviolet Water Disinfection System. Keep reading to learn more about the benefits of Ultraviolet Systems! What exactly is UV disinfection system and how does it work? The UV treatment process is an extremely rapid physical process that causes a molecular rearrangement of the genetic material, known as DNA, of the microorganism, which renders it inactive and incapable of causing infection. 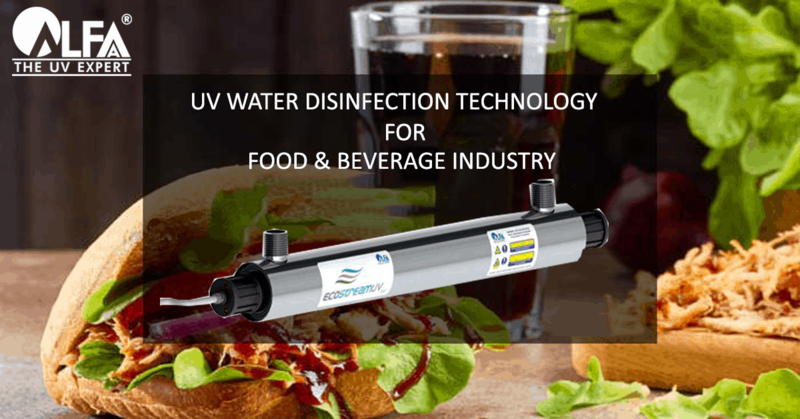 UV Disinfection Systems are used in many different applications ranging from the purification of drinking water in individual homes to disinfecting the water supply of entire townships. 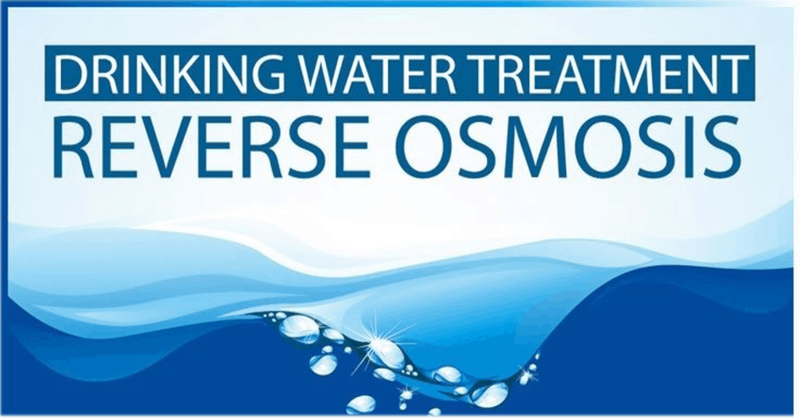 Also, UV treatment of water is recognized as the safer, environmentally-friendly and more cost-effective way to disinfect water for industrial applications. 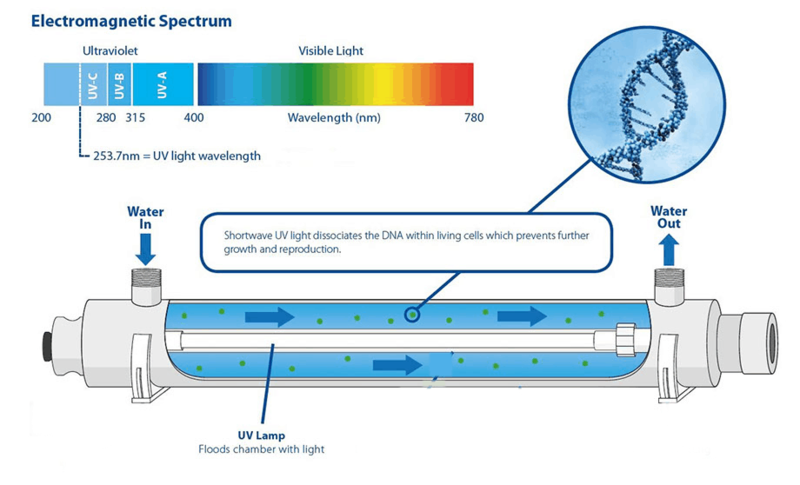 How does a UV disinfection system work? In the UV water disinfection technology, Ultraviolet germicidal irradiation (UVGI) uses 253.7 nanometer ultraviolet (UV) light to kill microorganisms. 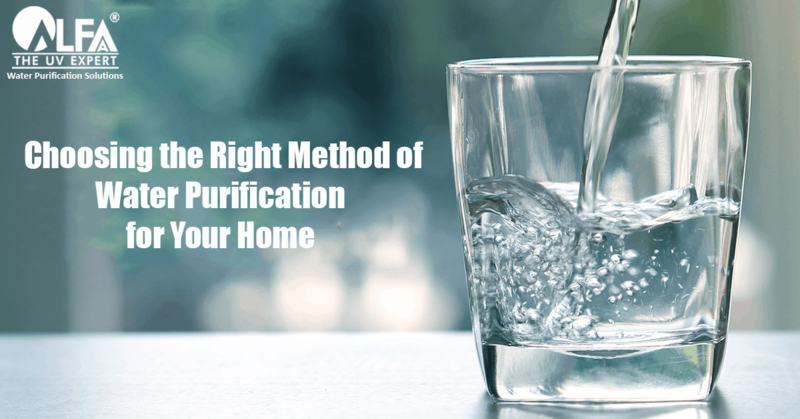 It is effective in destroying the nucleic acids in these organisms so that their DNA is disrupted, leaving them unable to perform vital cellular functions or cause infections. 2. Bio- Pharmaceutical– Water used in pharmaceutical and healthcare products and for CIP (Cleaning in Place) must be free of chemicals like chlorine, ozone, and pathogens. Most pharmaceutical companies depend on UV systems for water disinfection. 3. Cosmetics– Water that is free of microorganisms and toxins ensure quality and enhance the shelf life of cosmetics. UV Sterilization is the preferred choice for the cosmetic industry across the globe. 5. Waste Water Disinfection and Reuse– To combat the problems of water scarcity and rising cost of fresh water, UV Disinfection can help by treating the waste water in the tertiary stage. 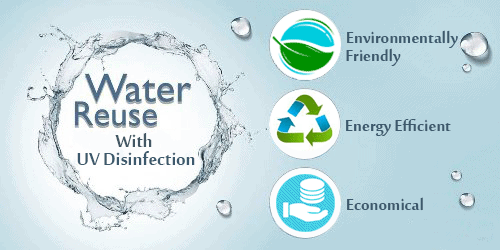 UV systems that are specially designed for wastewater can thus disinfect wastewater so that the water can be reused for secondary purposes such as flushing and gardening. 6. Swimming Pools– Traditionally, chlorine has been in use to ensure clean water in swimming pools. However, it is increasingly being known that with chemical disinfection, chemicals react with many other organic matters to form hundreds of new chemicals which are harmful. UV, which is a chemical free technology, is recognized as safer and more cost effective way to disinfect swimming pools. What are the benefits of UV disinfection systems? A UV disinfection plant is much more economical to run as compared to chlorination or ozonation with a typical payback period of 1.5 year against a chlorination plant using NaOCI. A UV disinfection system works with little or no user intervention. The online monitoring system constantly checks the disinfection process and will alert the user in case of any drop in performance. UV disinfects in seconds and does not require any contact tank or retention time saving valuable real estate, especially in urban environments. UV uses no chemical and forms no by-products. Compare this to chlorine which produces dangerous carcinogens such as tri halo methanes which further pollute our environment, and endanger our health. A UV disinfection system does not require the procurement of dangerous chemicals such as Chlorine Gas or Sodium Hypochlorite which can lead to burns and respiratory problems. 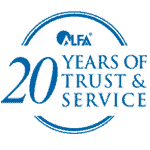 Well designed systems like Alfaa UV systems use highly energy efficient UV radiation sources which consume a fraction of electricity as compared to other technologies. What about the maintenance of UV disinfection systems? 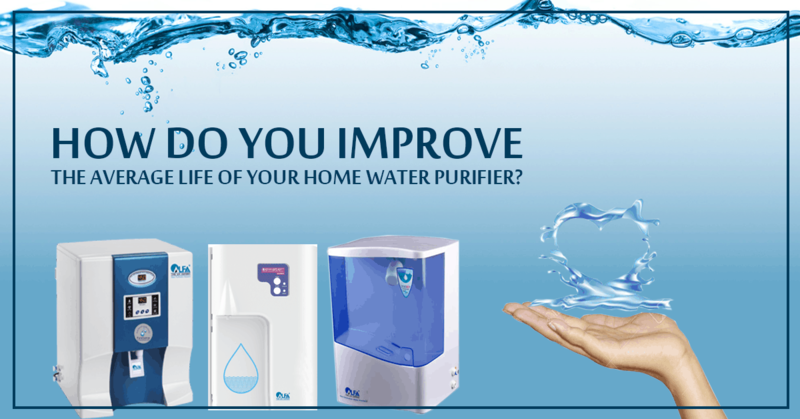 There may be some cases where the water is not adequately pre-treated and turbidity levels are higher than desired. 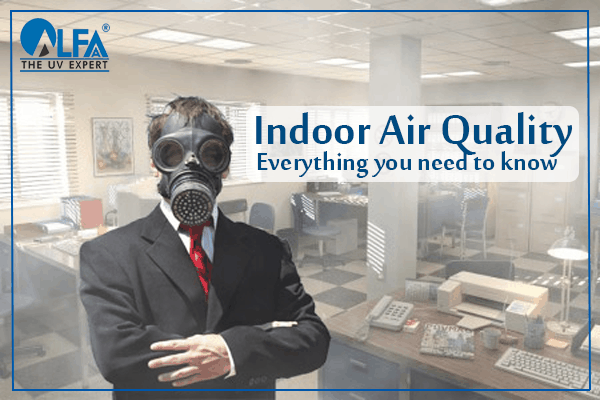 In such cases, routine inspection and cleaning can be carried out every 6 months. In the case of high turbidity and hardness, the cleaning frequency might need to be increased. Finally, the UV lamp has a limited life and must be replaced once it is exhausted. In the unlikely event of premature failure of the lamp, the monitoring circuit will provide the signal to advise replacement. Blog By:- Alfaa UV. 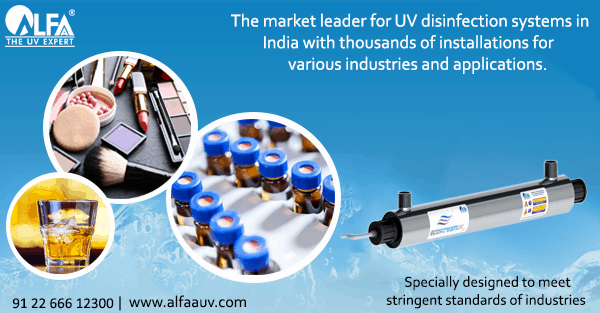 Alfaa UV is the market leader for UV disinfection systems in India with thousands of installations for various industries and applications. I am from a company called “Baxter”. A US based healthcare industry. 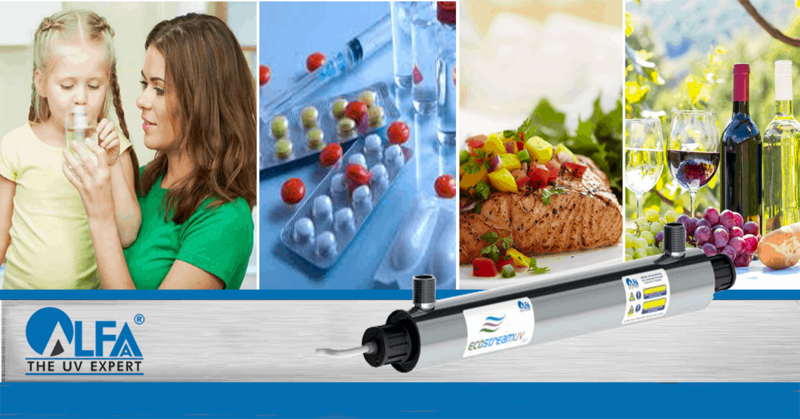 We are looking for water purification components for medical applications. Can you please share the catalogue for UV lamps that can deliver 1liter/min output. Please let me know if you have any questions at the earliest. Hi Poornachandra Nayak, Thank you for showing your interest in our product. We will get in touch with you shortly.